So we made two stops this weekend. Now remember, today is only the 8th of July, so we’re talking about the 5th and 6th. 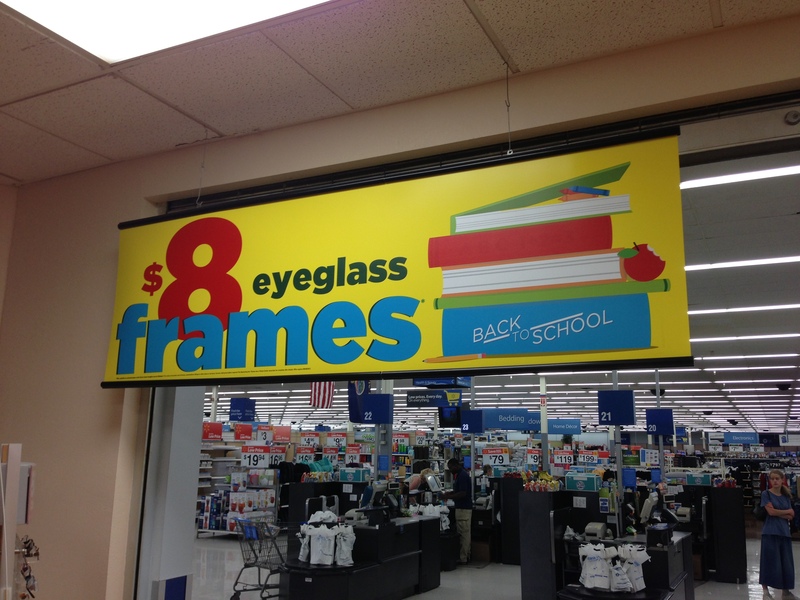 The first stop was Wal-Mart, where we had to get my son’s glasses adjusted. If you didn’t know, glasses are a horrible invention for an 8 year old. Sure, they help with things like vision and headaches and concentration at school, but really, with all of our amazing technology and the most recent breakthroughs in alloys and engineering, can’t we come up with something a bit more durable? An eight year old should never be trusted with something that costs upwards of $100 and goes on their face. Have you seen an eight year old? They are walking catastrophes. Mine in particular, thinks that using his head means banging the door open with his cranium. The boy is a walking tornado, and by the time he gets to be a teenager we will own our own wing at the local hospital.